You like to hide in the winter under a warm patchwork blanket? It is so wonderful to sleep in a warm bed when it's cold outside! Let's try to create the game beautiful patchwork quilt for baby Elsa. It would be a great gift for the New Year for the little Princess Cold Heart of the castle where it's always cold. This will be a special quilt. Because it will be sewn from multicolored scraps. You'll be able to choose the form of patchwork blanket, color, and cloth and its size. In addition to blanket, you'll be able to choose nightgown for Elsa, a beautiful pillow, bed and other decorations. 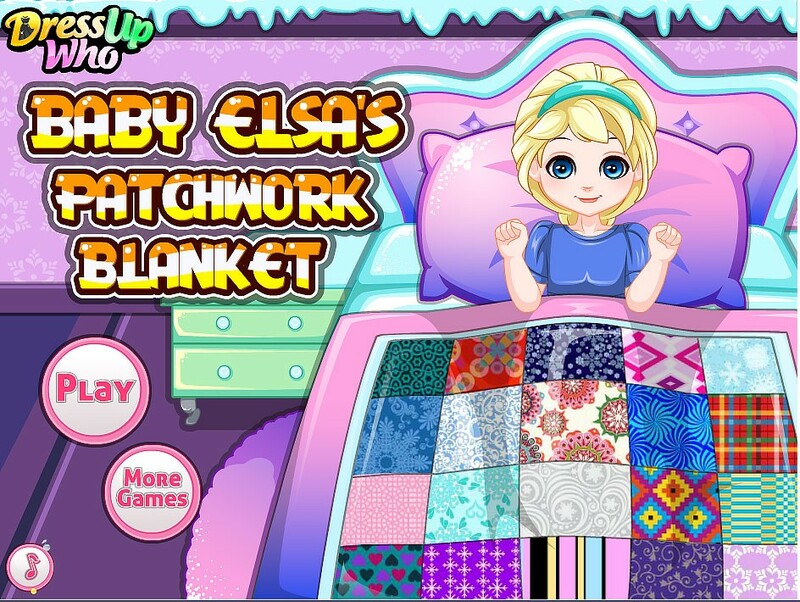 How to play: in this game you will create a quilt for the baby Elsa's Cold Heart. Thanks to this patchwork blanket it will be warm in the cold season when. Use the mouse and hints in the game. Played: 24921. Added: 30-12-2015, 17:57.